Dr. Holly writes in a way that makes the information accessible to anyone. She addresses the myths and misconceptions and provides up to date leading research material in a manner that you can understand. Each book gives an overview of how the system or organ functions, what can go wrong and how to reestablish healthy function. DIABETES is just one more terrifically misunderstood process. 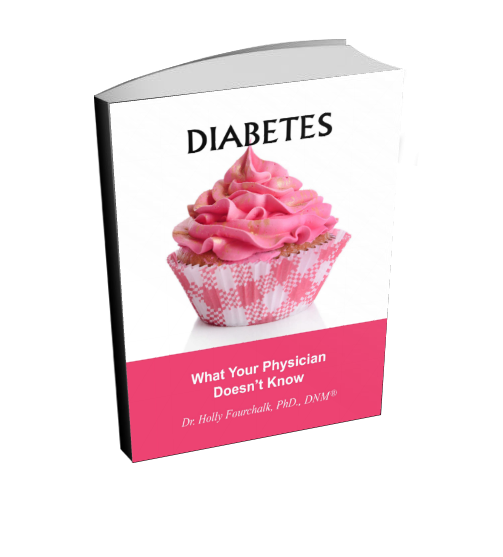 Most people equate Type II Diabetes with weight/obesity, sugar and insulin/pancreas. There are a huge number of other factors that contribute to diabetes from the gut to the liver to the adrenals to fatty acids. Even a respiratory viral infection can provoke diabetes. Further, you can eliminate it rather than manage it!! Learn what your physician doesn’t know. 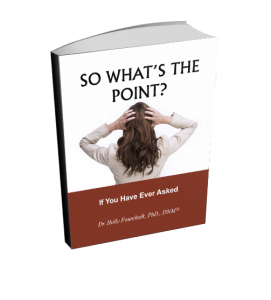 Have you ever asked so what’s the point? From a personal perspective with your health, your career, your marriage, your family, have you ever asked: “So what’s the point?” On a global level have you ever asked why the wars, the famines, the abuse to mankind, have you ever asked “So what’s the point?” If you have ever questioned why and found no answers, this is the book that will walk you through the questions and how to find the answers. Historically, we looked at depression as being either the result of psychological functioning, i.e., how you interpret and respond to the world, underlying life themes, coping mechanisms, etc. OR a chemical imbalance in the brain (which has never been proven, nor do you get any kind of physiological test to identify this imbalance). 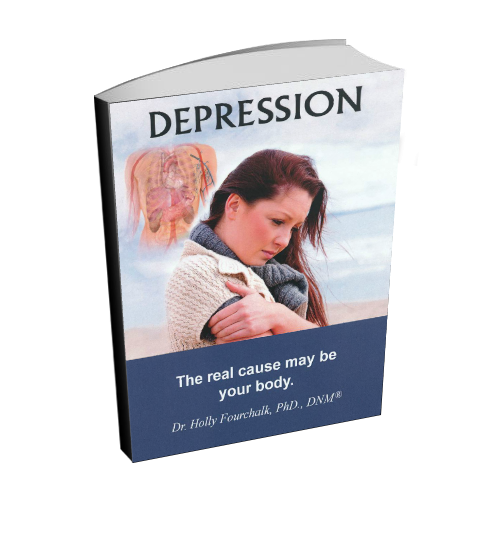 Today, however, we know that all kinds of issues in the body and cause DEPRESSION. 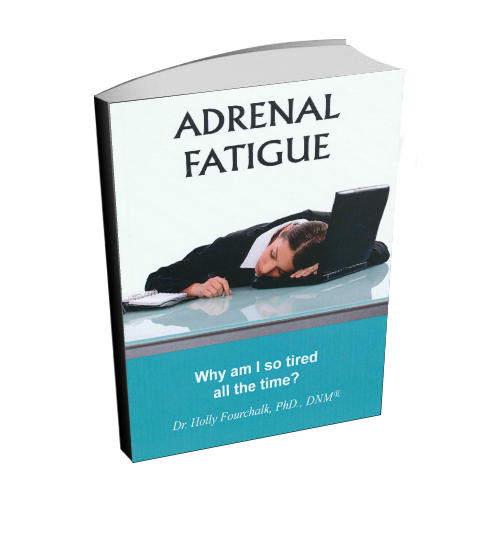 ADRENAL FATIGUE is a huge issue. Adrenal fatigue is often misdiagnosed as a hypothyroid. The treatment is to be given prescriptions that do not solve the problem and may, in fact, may make it worse. This book, written for those who have do not medical training, will help you understand issues like fatigue, foggy brain syndrome, insomnia, diabetes, immune issues and a whole lot more from the perspective of the Adrenals…and what to do about it. YOUR HEART is a hugely important organ in the body…but with the Cholesterol Myth and so many other myths and misconceptions, the heart gets a beating. 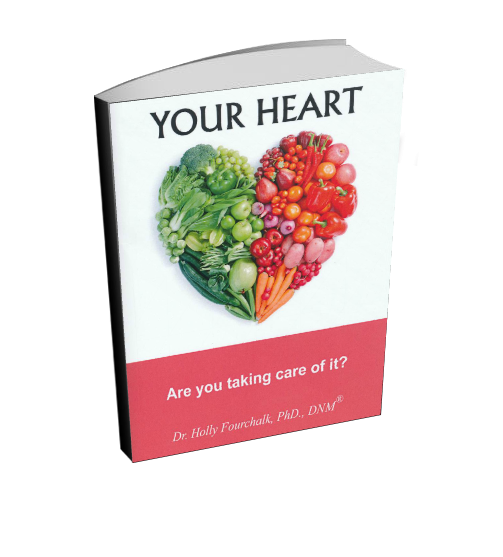 This book will explain the function of the heart, the causes of dysfunction, and how to bring the heart back into health, in everyday language. YOUR VITAL LIVER is a hugely important organ in the body that supports all other organs and systems. Yet, most people have dysfunction in their liver by the age of 30 – whether vegetarian or not. From different types of fatty liver, to different types of toxicity to low nutrients like glutathione…there are so many things that can go wrong with the liver and thus the rest of your health. Be on top of the game and know the fundamentals. 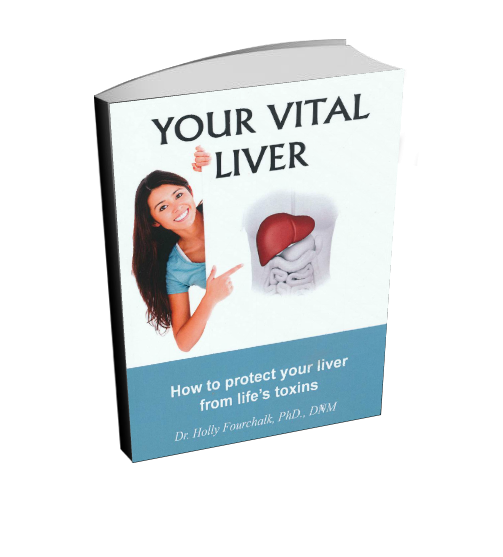 Learn how your liver is key to your health.. 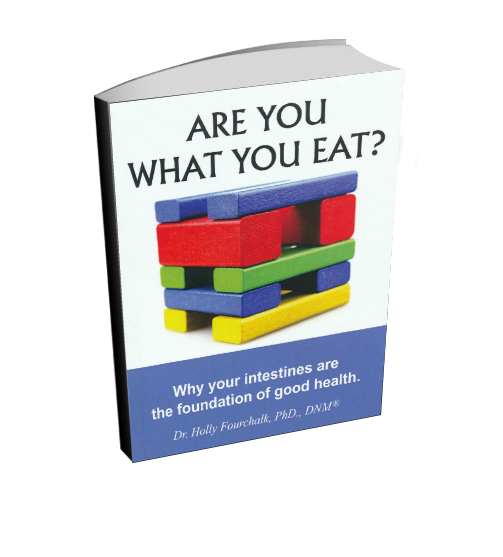 Your Gut – Are You What You Eat? You are a combination of what you eat, what you eliminate and what you think. Learn how these three mechanisms interact and communicate in an attempt to support you. The body has to create so many compounds, tissues, organs, systems, and it needs to do this on an ongoing basis. However, if your gut isn’t functioning properly dysfunction can happen throughout the body and mind. Learn what can go wrong with your gut and how to bring the gut back to optimal health. Learn more than what most physicians know. INFLAMMATION is the Silent Killer. You have probably heard that phrase many times. 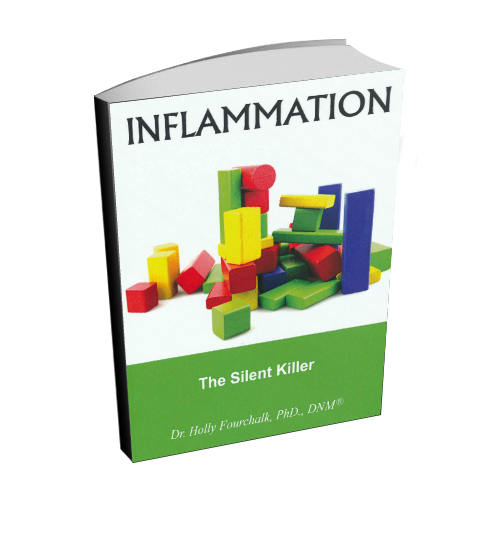 Learn how the Inflammatory System functions and why it is imperative to your health that it function properly. Why both inflammation and anti-inflammation are important systems in the body and how they need to work together in harmony AND what can happen when one goes out of balance and what to do to bring your body back into optimal health. 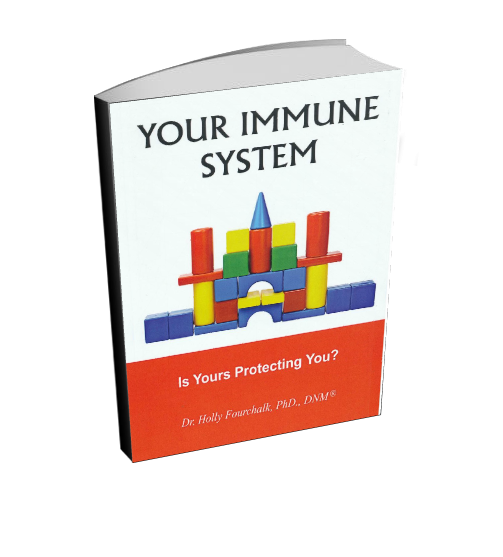 YOUR IMMUNE SYSTEM is the system that protects from all those outsiders that would love to take up residence in your body. Find out how it can go astray, why pathogens can take up residence and what prevents them from doing so, and what you can do to strengthen the system that needs to protect you! CANCER is a very scary word. But there are all kinds of scientific research and information that doesn’t get published in the Medical Journals. Learn the how’s, why’s and what’s behind Cancer in the Big Pharma world of Symptom Management. 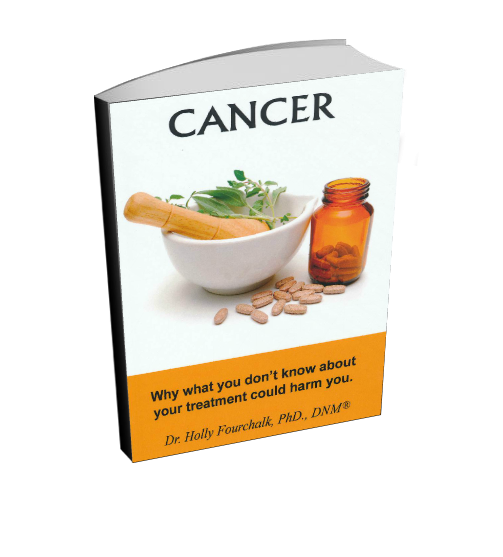 Then learn about the other how’s, why’s and what’s behind Cancer in the alternative world of Healing Management. You will be surprised!! MANAGING YOUR WEIGHT is NOT the result of just exercise and calories!!! Rather, it is the result of a huge number of interacting variables that are different for everyone. 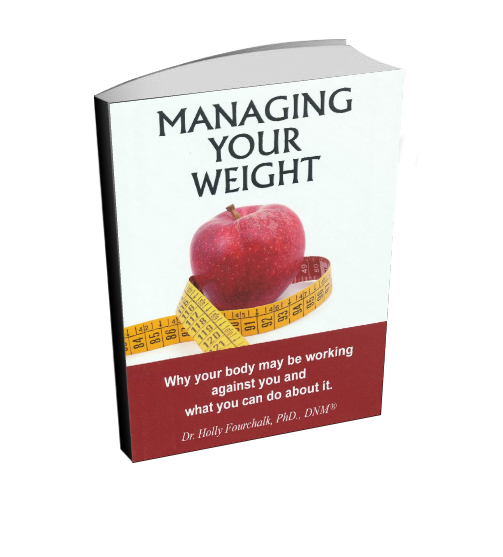 Learn about all the different variables that impact on weight management and why all the different formulas, diets, and exercises will work for a given number of people but not for all. Then you can determine what issues are at play in your body and do what you need to do for your body! CHOCOLATE is yummy! Women have known for eons that chocolate is good for you. Well, so have men, historically, but the modern man screwed it all up and created a tasty but harmful junk food. 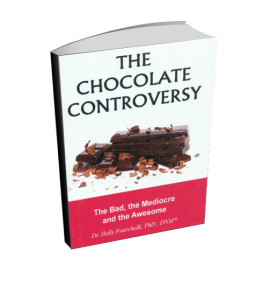 Learn all about REAL chocolate, and how and why it benefits the body in a gazillion different ways. You will also learn how to differentiate between the bad, the mediocre and the awesome – and then really enjoy chocolate!!! 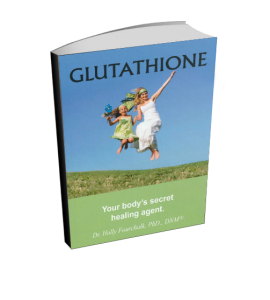 GLUTATHIONE is one of the MOST important compounds in the body. It is involved in virtually EVERY process of the body!! It is a huge detriment that the vast majority of physicians I talked with couldn’t even remember what glutathione was – or if they did – they thought that it was simply involved in REDOX/free radicals!! Learn what your physician does not know, why it is such a HUGE component of healing, and how to get your body to make more of it.